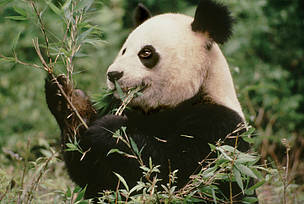 Adored around the world, the distinctive black and white animal is a national treasure in China and has been the symbol of WWF since its formation in 1961. 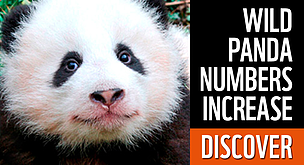 While its numbers are slowly increasing, the giant panda remains one of the rarest and most endangered bears in the world. Learn more about this amazing species! Habitat: where do they live? Diet: what do they eat? After decades of effort, wild panda numbers are rising, but there are still only 1,864 spread across 20 pockets of bamboo forest. 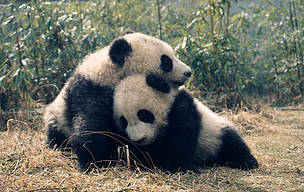 And the remaining pandas still face a number of threats, particularly habitat loss and fragmentation. But the Chinese government is committed to conserving the species and its habitat, and has already drastically increased the number of panda reserves. 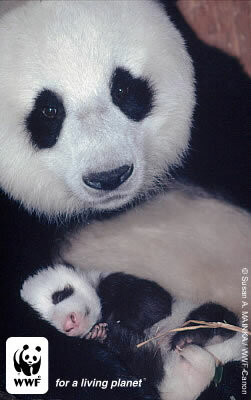 WWF has been active in giant panda conservation since 1980, and is continuing to support the government's efforts to give the species more room to feed and breed.